New research published today by Beaming, the business ISP, reveals that more than half (52 percent) of British businesses fell victim to some form of cybercrime in 2016. Beaming’s study, which was conducted by researchers at Opinium, indicates that 2.9 million UK firms suffered cybersecurity breaches nationwide last year. The cost of cyber security breaches came to a total of £29.1 billion. 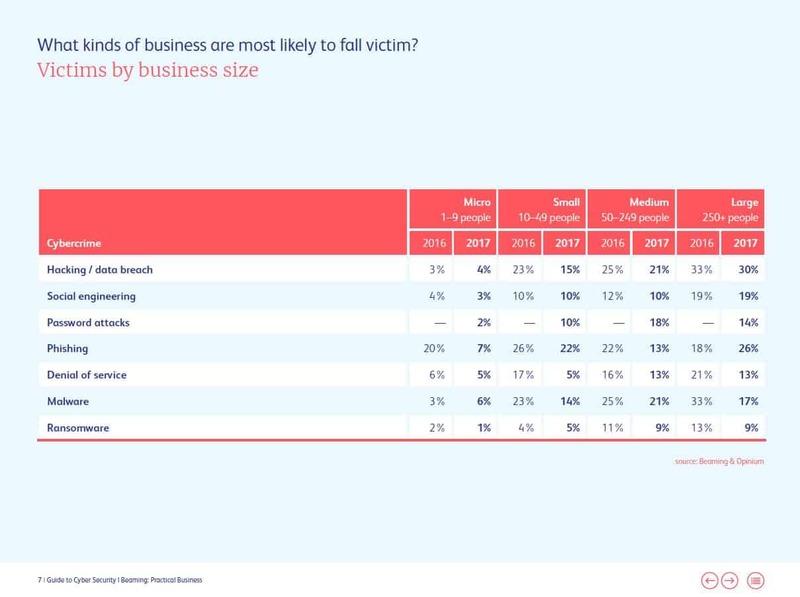 Computer viruses and phishing attacks were the most common corporate cyber threats faced by British businesses last year, in both cases impacting 23 percent of the businesses surveyed. Just under a fifth (18 percent) of businesses suffered some form or hack or data breach in 2016. The risk of cybersecurity breaches increases with business size. 71 percent of organisations with more than 250 employees were victim to some form of cybercrime last year, compared to less than a third (31 percent) of enterprises with fewer than 10 people. The threat of hacking and data theft garners the greatest amount of attention at board level within British businesses. A third (30 percent) of companies discuss these matters in senior leadership meetings, compared to less than a fifth (18 percent)a year ago. More than half a million British businesses took out cyber insurance policies for the first time in the last 12 months. 19 percent of UK companies are now covered for losses associated with cyber security breaches and data theft. Adoption of new cybersecurity technologies increased the fastest amongst smaller businesses in 2016. Demand for unified threat management devices, web application firewalls and network access control systems increased by 71percent, 59percent and 45percent respectively amongst those employing between 10 and 49 people. As a specialist ISP, the businesses we work with trust us to keep their data safe and their systems secure. 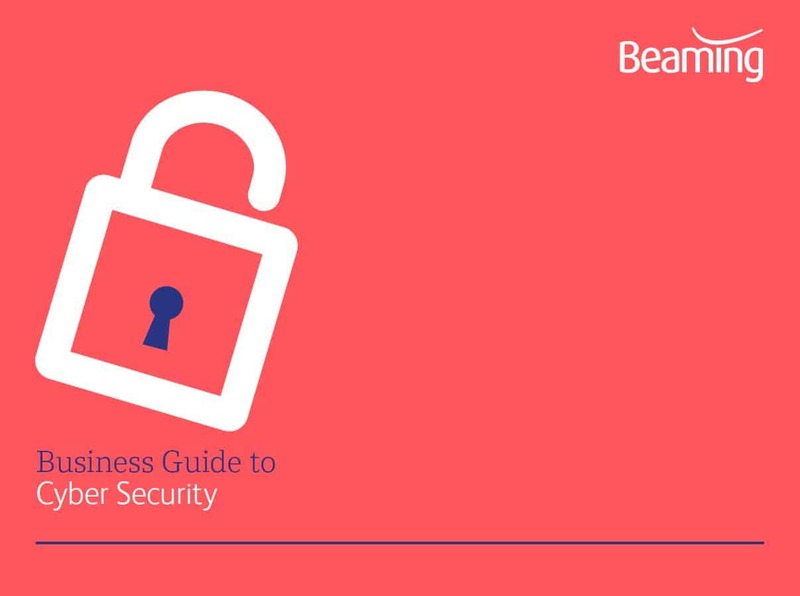 Download this free eBook to take advantage of new research about the cyber threats your business is most likely to face, information about the best measure you can take to mitigate the threat of cyber crime and advice on the areas of your business that may provide the weakest point of access for cyber attacks. Almost two thirds of UK companies employing between 10 and 49 people fell victim to some form of cybercrime last year. While cybersecurity and connectivity top the IT spending plans of UK businesses in 2019, the number of large firms using A.I. assistants will surpass human PAs and secretaries for the first time. 1.7 million UK businesses have put IT investments on hold due to Brexit. New research shows business leaders want Comfort, great Connectivity and space for Concentration.